Stuart Baird is an English film editor, producer, and director who is mainly associated with action films. He has edited over twenty major motion pictures. Baird has had an extended collaboration with director Richard Donner. For Baird's work on Superman in 1978, he was nominated for the Academy Award for Film Editing. He received another nomination for editing Gorillas in the Mist . 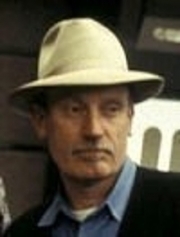 Prior to his working relationship with Richard Donner, Baird worked as assistant director and assistant editor on different projects before editing Ken Russell's Tommy. Baird worked with Russell on five major motion pictures. He edited Tommy, Lisztomania, and Valentino and served as associate producer on Ken Russell's Altered States. He also worked as assistant editor on Russell's The Devils, . After his Oscar-nominated work on Gorillas in the Mist in 1988 and his work with Richard Donner on Lethal Weapon 2, he accepted a position as full-time staff editor at Warner Bros. in 1989. With Warner Bros. He supervised the editing on such films as Die Hard 2: Die Harder and Robin Hood: Prince of Thieves . The first two movies Baird directed were studio pictures produced and distributed by Warner Bros.; where he had served as Editor Supervisor. He has directed three films: Executive Decision , U.S. Marshals , and Star Trek Nemesis . He was the editor and executive producer of Lara Croft: Tomb Raider . Baird recently edited the Columbia Pictures thriller Vantage Point. Baird was rumored to have been hired to replace director Stephen Sommers on the film G.I. Joe: The Rise of Cobra, after he was allegedly fired following a disastrous test screening. However, both Paramount Pictures and Sommers deny this, and Baird and producer Lorenzo di Bonaventura refused comment on the matter. In the movie Star Trek Nemesis, Baird also voiced the Scimitar computer. To get the job directing Star Trek: Nemesis, Baird did re-cuts on Lara Croft: Tomb Raider and Mission: Impossible 2 for Paramount Pictures. Michael Phillips, of the Chicago Tribune said of Vantage Point and Stuart Baird, "Editor Stuart Baird must've been paid by the cut: Simple five-second action beats are often sliced into three or four separate, panicky shots." Split Personality , a Joel Silver directed episode of the HBO horror anthology, Tales From the Crypt. Whole or part of the information contained in this card come from the Wikipedia article "Stuart Baird", licensed under CC-BY-SA full list of contributors here.